Following the acquisition of the company Veyance Goodyear EP by world known German company Continental, Rematech div. Bremo inc. is now the exclusive distributor of Phoenix belts for the provinces of Québec, Newfoundland & Labrador and southeast Ontario. The brandname Goodyear EP has simply been replaced by the brandname Phoenix. The Phoenix belts are the identical belts as previously supplied by Goodyear EP, and continues to be manufactured by the same experienced employees, with the same proven methods and the same top quality materials. They are still manufactured in the same facilities in Bowmanville, Canada, and in Marysville, USA. SAME PRODUCTS. SAME PEOPLE. SAME QUALITY. SAME TECHNOLOGY. SAME MANUFACTURING PLANTS. THE ONLY THING THAT’S CHANGED IS THE NAME. 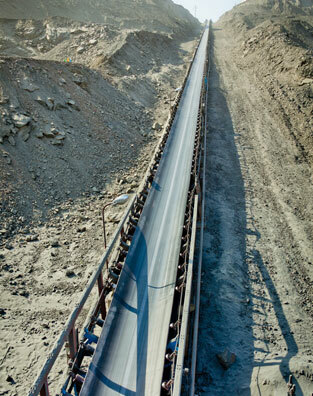 To reduce operating and maintenance costs while increasing productivity, choosing the right conveyor belt is top priority. 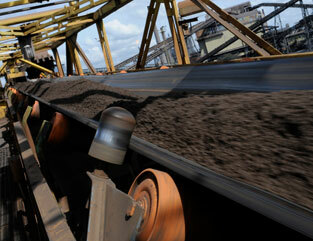 Using Rematech’s belts and full service brings definite advantages. Rematech’s huge and varied inventory of conveyor belts allows you to reduce your own inventory needs, financial investment and increase your storage space. Rematech has been a proud distributor of Goodyear EP elevator and conveyor belts for over 35 years, now named Phoenix. Phoenix offers a full line of belts for all needs across the industrial sectors. Produced with high-quality materials, Phoenix belts are known worldwide for their durability, strength and consistent quality. In addition, Goodyear’s leading edge research facilities constantly develop new materials that make their belts even more durable. Goodear EP previous names of the following belts are indicated between brackets. This line of belts is exclusive to Rematech div. Bremo inc, and have been made to meet the needs of the mining and quarries industries, and for any other application that needs a highly resistant belt against abrasion and severe impacts. Conveyor belt with ribbed surface – with chevrons, ideal for inclines. This belt is especially useful for moving materials that tend to slide under certain conditions. 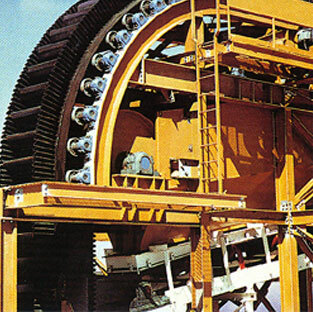 For such applications, this belt carries a steady load without downtime. The Glide Surface (Plylon) is a low-cost solution for applications requiring good impact, cut and abrasion resistance. 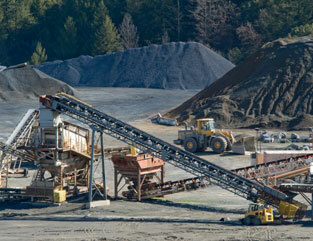 It has a wide range of applications and is particularly valued in quarries, sand and cement plants. The Glide Surface (Plylon Plus) has a track record in a variety of industries such as mining, aluminum and pulp and paper. It is the belt of choice for our most demanding clients and the toughest applications. With a great variety of tensile strengths, lining thicknesses and rubber compounds available, this belt can handle any situation. This belt resists temperature spikes as high as 750°F (398°C) and is less susceptible to accelerated aging due to high temperatures. The Artic Grain ensures performance and durability when used as bucket elevators. Phoenix (Goodyear EP) steel cable belts are world renowned for their consistent quality and unrivalled durability. These cables, made of numerous metallic filaments, are designed to ensure great flexibility and allow effective and highly resistant splicing. The galvanized zinc plating acts as a bonding agent between cable and insulating rubber which creates a strong barrier against corrosion. Phoenix (Goodyear EP) and Rematech jointly provide technical support for belt selection according to transported materials and operating conditions. Phoenix (Goodyear EP) offers an innovative continuous inspection system for Phoenocord (Flexsteel) cables coupled with a rip protection system. Do not hesitate to contact us for more information. This belt has a 40 Duro Shore A natural rubber compound that does not mark wood and slows it down effectively without damaging it. 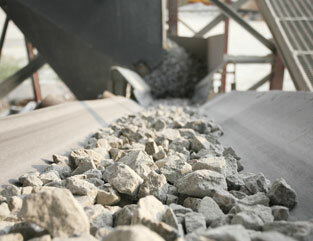 Increased belt durability and lower maintenance costs means you can provide the lowest cost per ton on the market. Talk to our satisfied customers. 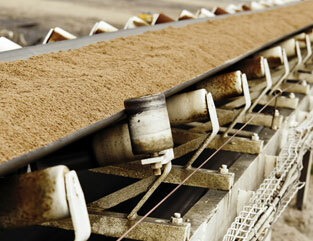 Flexowell elevator belts are designed for inclined conveyors where space is often limited. 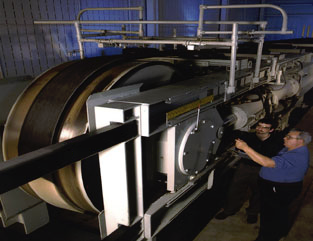 The belt’s vulcanized cleats and walls allow vertical conveying (up to 90°) of materials. 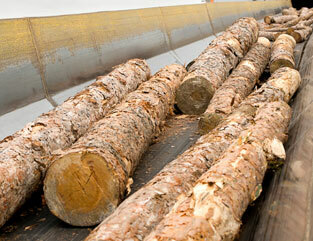 Flexowell is the pioneer for this belt technology which has since found numerous applications worldwide. Despite a more complicated design than standard belts, it is highly durable and requires very little maintenance. Rematech offers a wide variety of light duty belts. We have the right belt for your needs.